Figuring out how to make a living doing what you love is one of life’s biggest challenges. 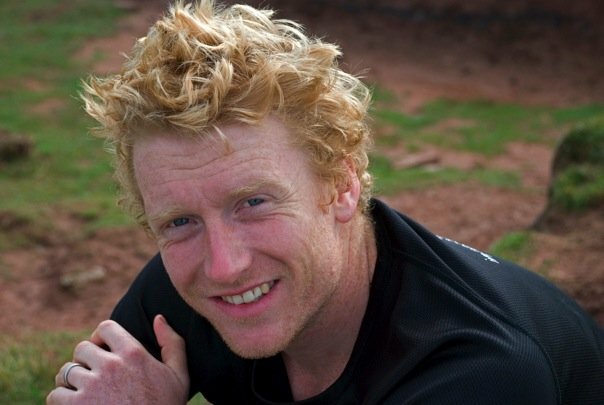 But Alastair Humphreys has made it happen — and he’s our guest today. Alastair calls himself an “adventurer” — a title that makes me oh-so-jealous. 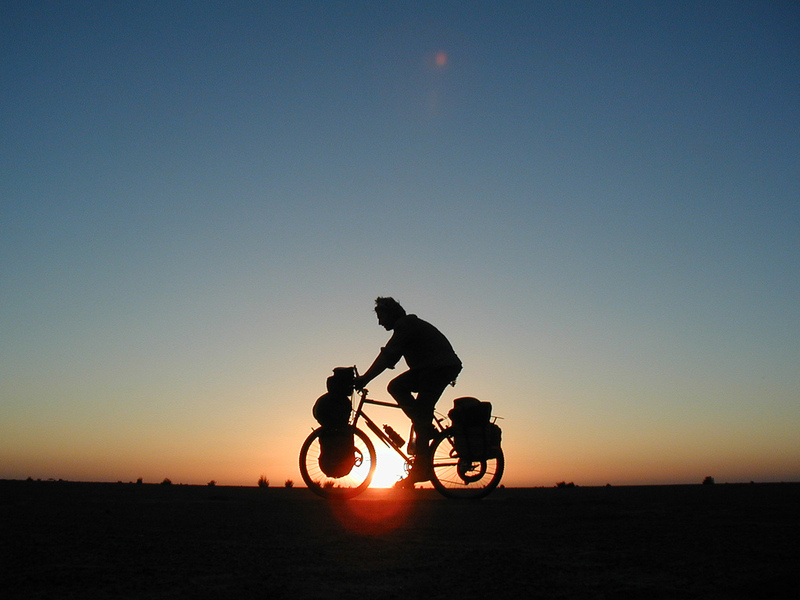 He has biked around the world, an expedition that took him four years. Completed the Marathon des Sables, a 150-mile race through the Sahara Desert. Canoed the Yukon River. Walked across India. And more. Alastair, who lives in Britain, has written three books about his experiences. (He self-published, but one book has since been picked up by a traditional publisher.) Yet he makes most of his money through public speaking, giving motivational talks about his adventures and inspiring groups to challenge themselves. The reason I invited him here for a Q&A is because I think many of us could make money by speaking like he does, and I wanted to learn more about how Alastair makes that work for him. Great to have you here, Alastair! You talk about making a living doing what you love. How have you managed to do that? d) doing a good job when people pay me to do something for them. From this a positive reputation can slowly begin to grow. What kind of audiences do you speak to? Do you seek out most opportunities or do they come to you? I speak to a lot of schools and some corporate audiences. The talks come about through a lot of hard work, cold calling and occasional spamming! I seek out the majority of my talks. However, with time, I am now starting to find that some people come directly to me, mostly through the effort I have put into in making my blog good and current. What do you talk about? How do you keep it fresh every time? It depends what the client wants. The essence though remains the same: exciting adventure stories and good photographs. The relevant message varies, from geography lessons to religious studies to corporates wanting to learn what difficult really means, setting high goals, etc. Are you naturally a good speaker? If not, how did you learn? I would say that I am naturally articulate. But I am not naturally self-confident enough to stand up and speak to large audiences. I have gotten used to this though. The knowledge that I am the world expert on my subject (“me”) helps give me confidence. And once an audience laughs in the right place you quickly relax. I spend a lot of time studying other speakers and trying to improve. The TED talks are great for this. I have also started doing some Pecha Kucha talks — they are very unforgiving! How do you know how much to charge? Did you start out speaking for free? I started for free, and then crept my fees up over a few years until I reached a level that both the client and I were happy with. You&apos;re a big fan of print-on-demand. Can you tell us about your writing journey? Do you sell your books when you speak? I had the usual round of rejections from normal publishers so I self-published my book. I sold it on my site and at talks (a large advantage I have over some POD authors). On the back of a few positive reviews a mainstream publisher came along and asked me to work with them. The biggest difficulty of becoming an author is not writing, or even publishing your book. It is selling it. Marketing and distribution are so hard. What tips do you have for authors looking to grow their audience, promote their books or make money by speaking? Become an expert in your niche. Help other people. This seems counter-intuitive, but it is an attitude that will reap dividends in the long run. Build a presence in your community, whether that is a real community or your online world. Get known. Get a reputation for being good at what you do, and also as a reliable, decent person to work with. Start small, learn to walk before you fly, serve your apprenticeship. Life is not the X-Factor: for every instant superstar there are a thousand who plod and graft and get there in the end. And there are a million more who don’t work hard enough or imaginatively enough and who eventually give up. Any other advice for people who want to make a living doing what they love? Do what you love with relentless energy, passion, commitment. Set very high standards. Learn from others. Help others. Do not compromise on the things that really matter and compromise on things that don’t matter too much. Be continually grateful for the opportunity and the freedom to be doing what you love, even when it feels like a nightmare! Readers, if you haven’t already, consider subscribing to Alastair’s RSS feed or monthly newsletter. They’ll inspire you. Do you make a living doing what you love? If not, has Alastair motivated you to find a way to do that? Anyone else have tips on public speaking to make money or promote your book? I love what Alastair says about being grateful for the opportunity and freedoms you have. Although freelancing isn’t (yet!) as lucrative as I’d like, I am grateful for the opportunities to work from home, set my own hours, write about things that interest me, meet interesting people, and do what I love. Thanks for a great interview! Great interview! Thanks Alexis and Alastair. I really appreciate the information and suggestions Alastair provided. I just finished Malcolm Gladwell’s “Outliers”, and what Alastair said really rang true with Gladwell’s opinions and observations about success. It’s nice to know that if we work hard at what we love, we’ll usually find a way to make money at it. Really happy I introduced you both! Great interview with inspiring traveller 🙂 Thanks. Alastair is an inspiration to us all. His three books: Moods of Future Joys and Thunder & Sunshine document his amazing cycle navigation of the world and Ten Lessons fro the Road provides invaluable insights into how to live your personal dreams. All three books are published by Eye Books ( http://www.eye-books.com ) available around the world. But I suggest you buy them directly from http://www.alastairhumphreys.com as he makes more money that way and it supports his next adventure or speaking engagement. Can you tell I'm a fashionista?